We’ve been talking about reorganising the soft fruit on our main plot for a couple of growing seasons now. This year we’ve rolled up our sleeves and made a start. First up: our raspberry patch has been a reasonably productive one for three or four years, but we’ve decided it’s time for a change. All the raspberry plants in this section are ones that we moved from elsewhere on the plot when we first took it on five years ago. We have no idea what cultivars they are, all we know is that they’re pretty much all Autumn fruiting primocanes and some of them are unpleasantly spiny. They’ve also been doing the usual raspberry thing for two or three years: putting out runners, setting up colonies, choking the space. So they’re all coming out – finding new homes with plot neighbours who don’t mind so much which raspberries they grow – and we’re replacing them with fresh stock that we’ve ordered from Pomona Fruits. We’ve opted for three cultivars, all Autumn primocane (we already have plenty of early-season soft fruit to eat from our plot): Glen Coe, Joan J and Allgold. All three cultivars are recommended in James Wong‘s rather excellent book Grow For Flavour, and two of them – Glen Coe and Allgold – carry the personal recommendation of my good friend Ian P, who grows them both on his allotment and rates them highly. I’ll post again in more detail when the crowns arrive and we’ve completed the setup of the new planting bed. We’re setting up a short-term support structure to test out a growing method that we’ve seen in action in various walled and/or botanic gardens on our travels. Next: lift and dispose of our old, tired, strawberry plants. They’re easily three, maybe four years old, so they’re past the recommended replacement age. When we planted these rows out – back in our novice days – I hit on the bright idea of growing them on weed membrane-covered soil ridges. Cut a hole every 12 inches (30cm) and plant through the membrane. It was something I’d seen in passing on Beechgrove Garden and I thought it would help keep the fruit off the soil and stop it spoiling. 1) A couple of summers ago we had a run of soggy, grey humidity and discovered that our 12″/30cm spacing was far too compact. The plants put on masses of dense foliage that held onto the moisture, providing a perfect environment for grey mould to take hold and run rampant. Net result: mushy, mouldy fruit everywhere, very little of it salvageable and fit to eat. Half the plants (every other one) came out the following winter in an effort to improve air-flow around them. 2) As anyone who grows anything in a raised bed of any sort knows, a raised bed drains and dries out much more quickly than flat ground. Good for plants that hate wet roots, not so good for shallow-rooted strawberries. In last summer’s drought it was almost impossible to keep the plants well-watered, especially trying to aim the water through the mass of foliage and into the stem-choked holes in the membrane. Net result: far fewer strawberries than we should have had for the number of plants. So the plants are out and we’ve ordered a dozen ‘Malwina’ – another James Wong recommended-for-flavour cultivar – as runners, from Pomona. 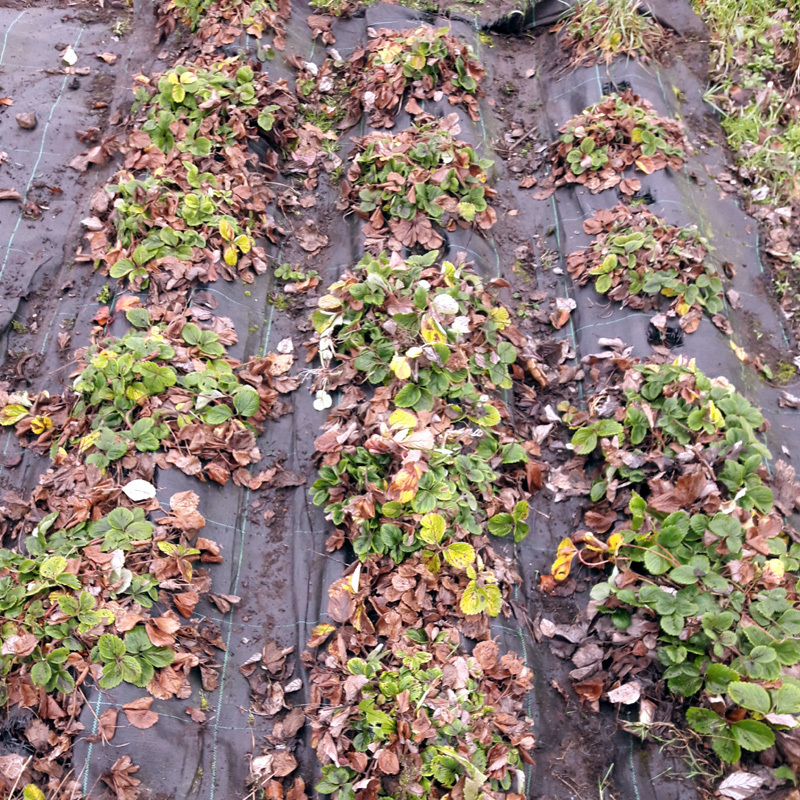 The ridges have been flattened and we’re planning on growing our new strawbs in long, deep plastic trays. Yes, trays will also dry out in hot weather, but they’re easier to irrigate. Water will at least be contained within the trays for long enough to soak the soil and be of some use to the plants. And we can more easily control the amount of fertiliser they get as well. I know, technically a vegetable, but it’s growing in the soft fruit section of the plot, so I’m including it in this round-up. 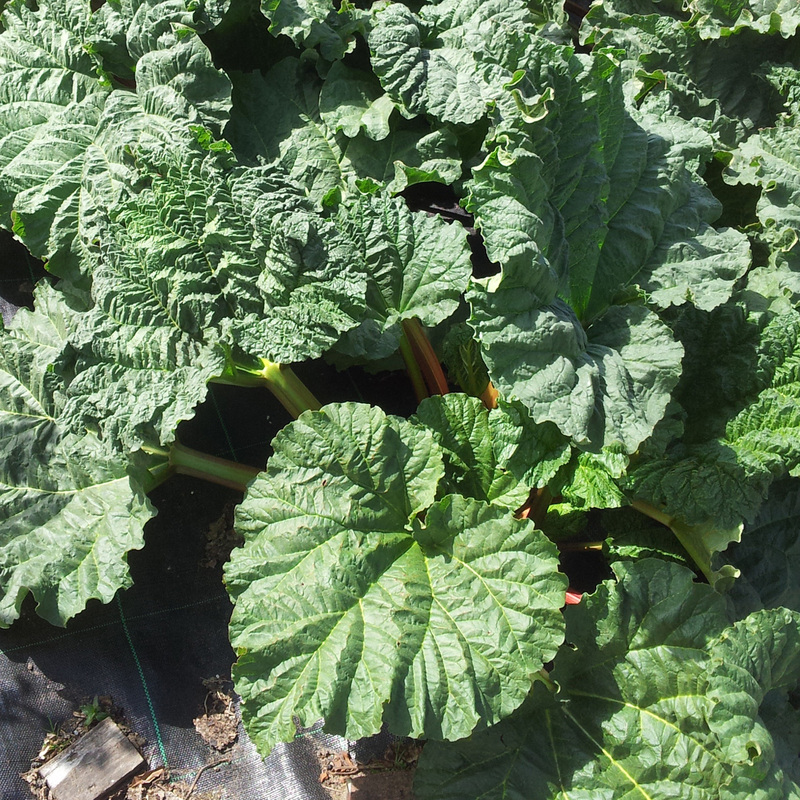 Our rhubarb patch is pretty impressive when it’s in full growth, if we do say so ourselves. Again, the eight crowns were all gathered from elsewhere on the plot, and they’ve been in-situ for three or four years now, so they’re well-established and produce kilos and kilos of stems that in the height of the season can be as thick as your wrist. But they’ve got to the stage now where they need to be divided and replanted to stop them becoming dead and woody in the centre. We’re going to do it in stages: take up half of them, divide and re-plant three good, healthy chunks of root with a crown bud attached, further down the fruit section. Then we’ll add an earlier cultivar (ours all come in late Spring through Summer) and call it a day at four plants instead of eight (too many for us). The other four will be left to do their thing for this year and then next winter they’ll be lifted, divided and either given away or donated to work. 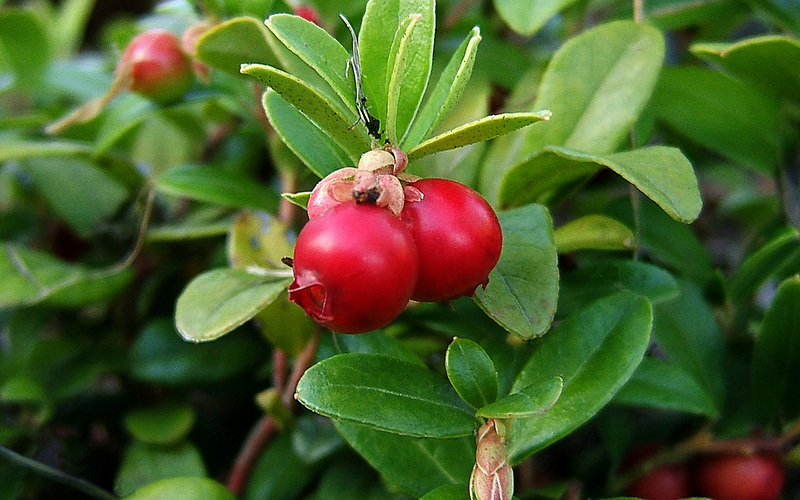 Also in that order from Pomona, we’ll be taking delivery of three lingonberry plants. These tart cranberry-relatives are staples of Scandinavian and Baltic cuisine, where they’re made into sauces and condiments to serve with meat and fish. They’re acid-lovers, so we’ll need to make sure we have plenty of ericaceous compost in before we plant them out. I’m not sure yet whether to grow them in containers or to dig a trench and back-fill with ericaceous compost. If anyone out there is growing lingonberries already and can offer any advice, it would be gratefully received, via the comments. 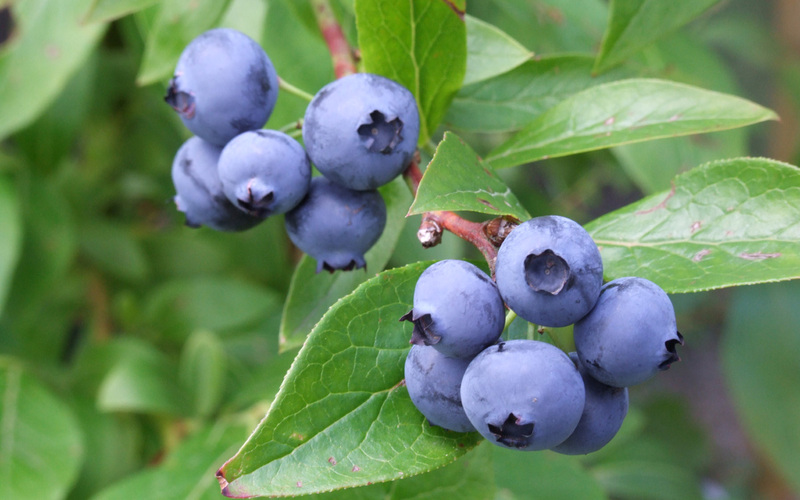 We already have a pair of six or seven year old blueberry bushes growing in large tubs in the back garden at home. As far as I can remember though, they’re the same cultivar, and introducing a pollination partner is meant to help improve productivity. I can’t for the life of me remember what the original two are, but I know they’re not ‘Spartan’, so that’s what we’ve ordered from Pomona. It’s another James Wong recommendation and has an AGM from the RHS as well, so hopefully a good choice. How about you? What sort of soft fruit do you grow and do you have any plans to add to it, or change it up this year? Let me know, via the comments. Water Feature or Pipe Dream? Our strawberries need replacing this year but we are waiting to see what happens with the raspberries that haven’t really put on much new growth. We have Allgold, Joan J and if it is the purple Glencoe, then that too. The purple Glencoe grows more like a blackberry the a ‘normal’ raspberry. Well, that’s a coincidence, eh? Thank you for the tip re: the Glen Coe. Ian P mentioned that they sprawl and spread a bit as well, so we’re planning on planting just the three of them, in plenty of space. Another Joan J fan here. 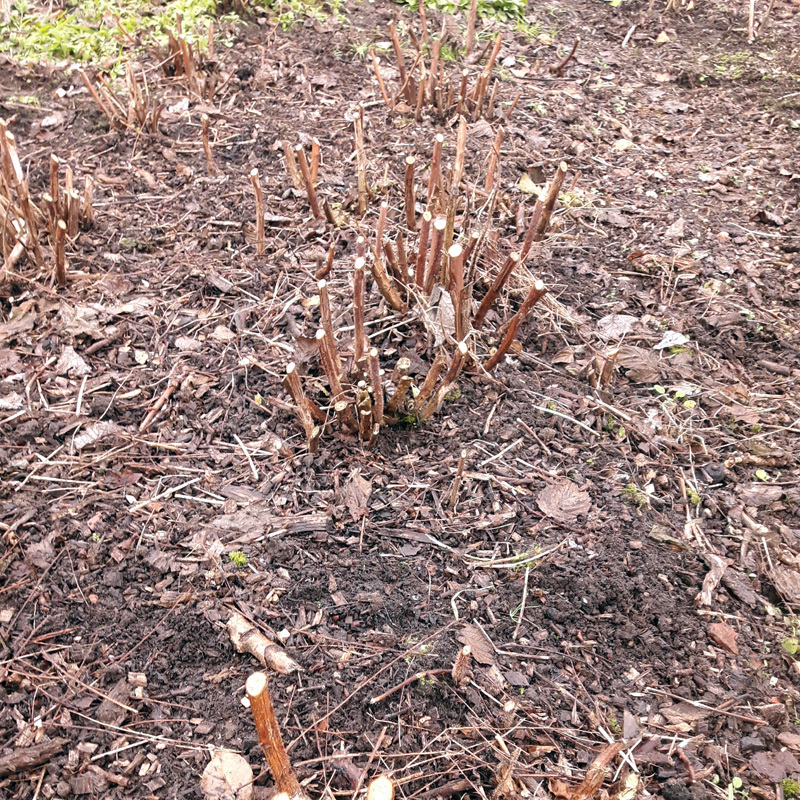 Last spring I planted out our new Malwina in just the way you describe as unsatisfactory. This will be the first year cropping so I will be intrigued to see how they do. From being a big Weed Suppressant Fabric fan I am having misgivings after reading up a bit about soil science. If it deprives the plants of water then it is as bad as weeds. Water is something we are rarely short of in Edinburgh and it occurs to me that fabric also hinders evaporation. Over time however it has got to interfere with the air soil interface and discourage the microbial activity you want to foster to encourage healthy growth. The main issues I had with the weed membrane were all irrigation-related. It was just about impossible to get enough water into the plants during the hot, dry summer we had last year, because the water just ran off and away from the plants. Maybe if they weren’t up on membrane-covered soil ridges then it wouldn’t have been so bad. Or if I’d included a length of drip-hose along the top of the ridge that I could have used to get the water to the roots of the plants, something like that.